Business leaders from organisations such as JP Morgan, Commsworld and Transport for Edinburgh heard about Openreach’s latest investment plans at a breakfast hosted by Edinburgh Chamber of Commerce today. Kim said: “Edinburgh already has access to extensive high-speed broadband, with 98 per cent of households and businesses now able to connect at 30Mbps and over. Edinburgh is the first city in Scotland and one of eight across the UK to be at the forefront of Openreach’s Fibre First programme to deliver full fibre connections to three million premises by the end of 2020 and 10m by the mid-2020s with the right conditions. Work is under way in parts of the city including Corstorphine and Newington, with places like Murrayfield, Abbeyhill and western Dalry expected to follow. 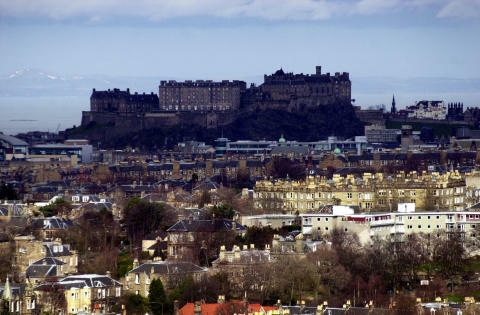 Liz McAreavey, chief executive of Edinburgh Chamber of Commerce, said: “Connectivity is a vital part of maximising Edinburgh’s digital potential and realising our ambition of becoming the Data Capital of Europe. Our members will be interested to hear about Openreach’s plans to deliver gigabit capacities across the city.